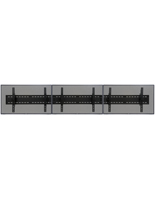 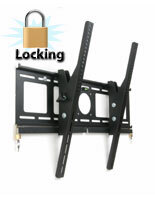 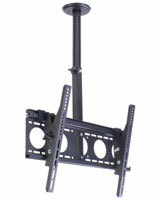 Need to display a monitory on the floor or on a wall? 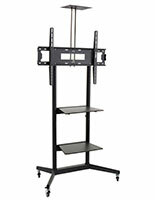 These TV stands for medium screens are an excellent choice for devices that measure between 33" and 47". 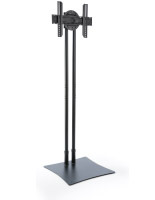 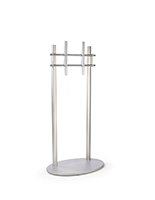 Offered in a number of styles, these fixtures make excellent merchandising and marketing accessories. 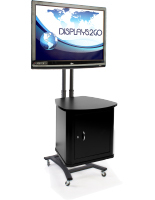 Use the TV stands for medium screens beside trade show booths to bring in interested passersby from a distance with dynamic advertisements. 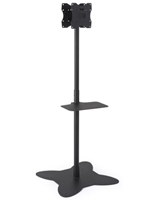 In addition, the holders make great promotional tools in retail stores where they can give customers more information about wares with attention-grabbing messages. 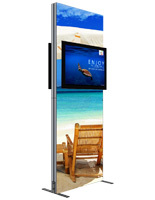 Place the TV stands for medium screens in office entrances, hotel lobbies and more to give visitors an idea about the company and its services when they first walk in. 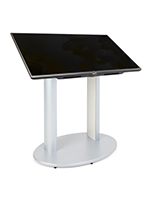 Browse our large selection of designs to meet the needs of your business. 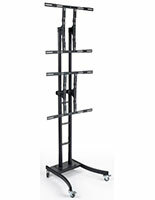 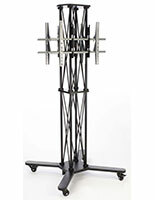 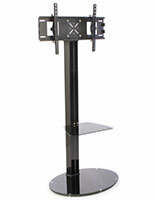 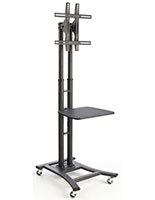 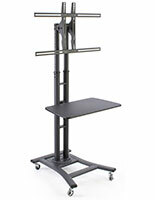 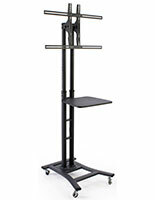 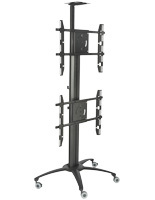 Most of our TV stands for medium screens are floor standing units. 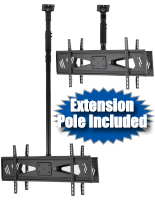 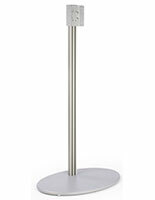 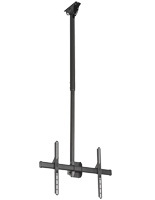 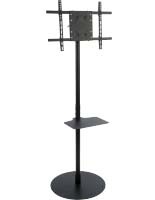 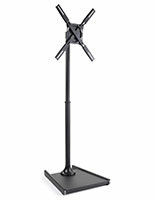 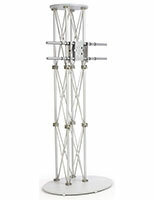 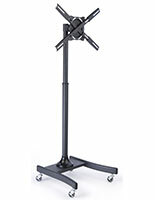 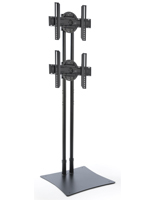 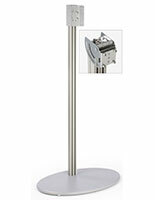 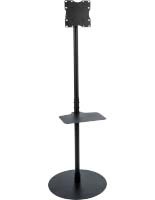 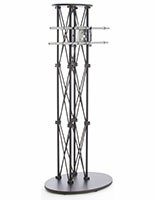 This type of display is sold with a number of options, such a height adjustable pole, rotating and tilting brackets and shelves for electronics. 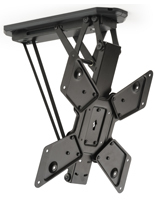 With these alterable functions, the mounts can accommodate any environment, aiming at any desired angle. 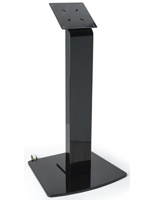 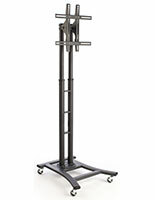 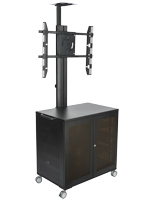 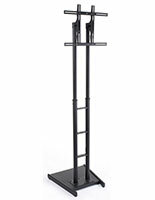 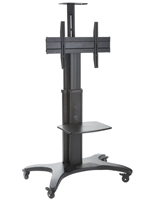 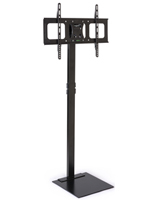 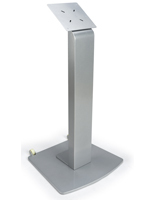 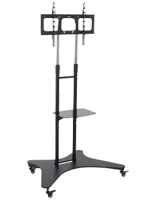 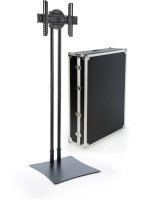 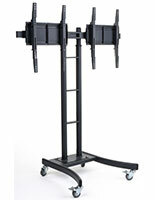 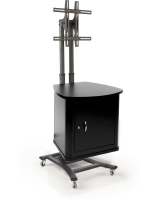 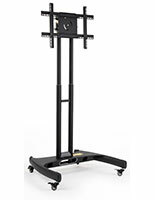 For users that require a portable solution, we offer TV stands with wheels for moving between rooms or a truss design that knocks down easily for bringing to events. 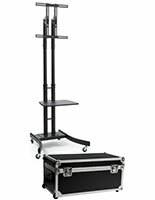 In addition, some models come with a case for easier transport. 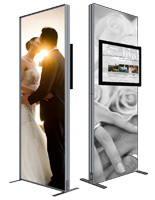 There are also holders here that can feature more than one screen for extra promotional space. 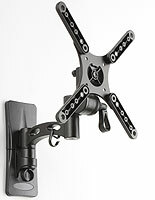 For companies that require more floor space, we also offer wall and ceiling mounts. 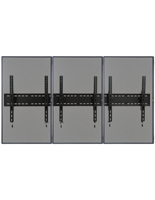 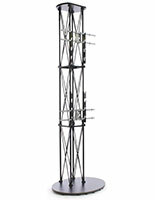 All units shown here are made of strong steel or aluminum to support heavy flat panels. 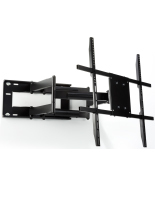 In addition, all of these TV stands use VESA compatible brackets to hold displays, ensuring that most modern 33" to 47" will fit. 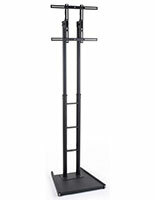 Get quick shipping when ordering from TVStandsOnly.com.